From Kazimir Malevich to Vladimir Tatlin, these surprising works were made by some of the most famous Russian avant-garde artists. However, they didn’t always want these particular creations to be public knowledge. Severny Eau de Cologne Bottles. 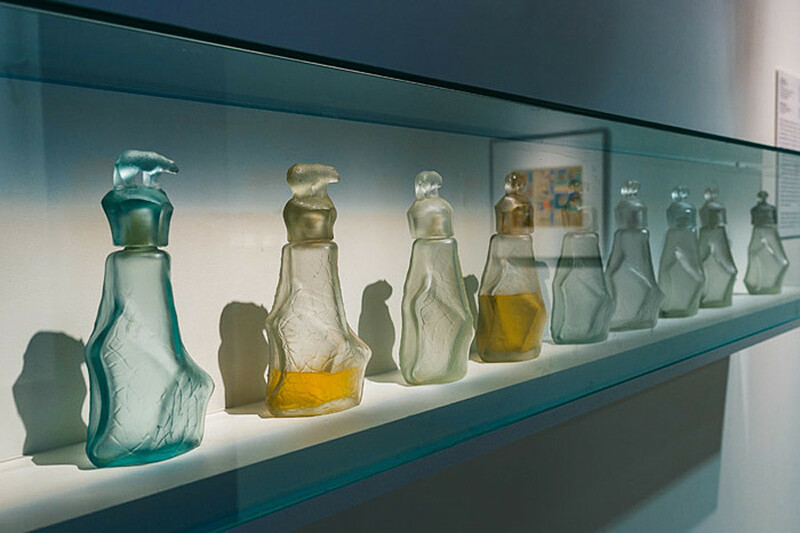 Malevich’s friends would later recall that it was Alexander Brocard, the owner of Brocard & Co.—a famous perfume producer that supplied the Romanovs—who suggested to Malevich that he design the bottle. This was the first time a bottle had been specially designed for a mass-market perfume. Malevich basically had to create a novelty that was not supposed to have any excessive flourishes or gilt. And instead of producing some ordinary container, the artist came up with a new sort of elegant image: a bear on top of an iceberg. Malevich also created the advertising poster for the eau de cologne, which consisted of a little snow-white bear on an iceberg and against a black background lined with light rays. The Severny eau de cologne not only survived political upheavals but remained a hit for many years. It was produced up until the 1990s. 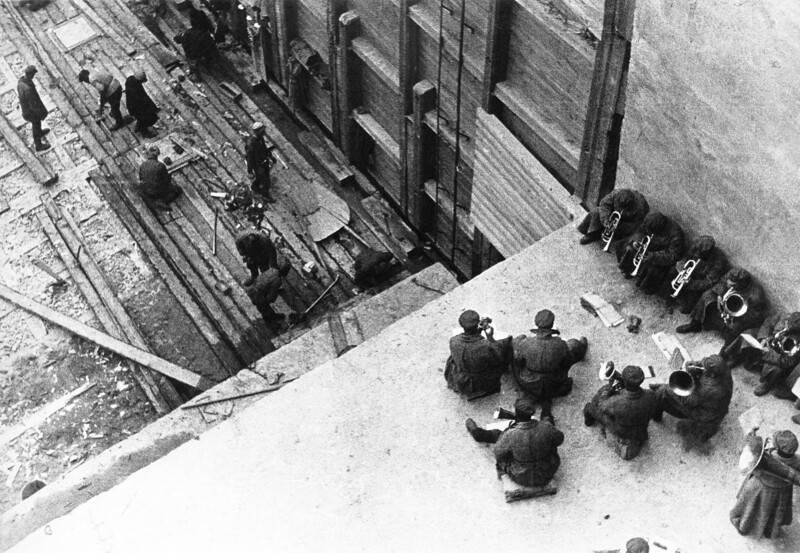 The construction of the White Sea-Baltic Canal, 1933. Rodchenko is most widely known for photomontages that illustrate Vladimir Mayakovsky’s books, his photos for periodicals and the panel on the Mosselprom constructivist building. In 1933, he was offered the chance to report as a photographer on the final stage of the construction of the White Sea Canal—the first navigable canal in the Soviet Union that connected the White Sea and Lake Onega. In many ways, this was an innovative construction job. It was the largest project in the early Soviet period and the first one made using prison labor. The canal was inaugurated with lots of pomp and depicted as a model for reeducating people through work. 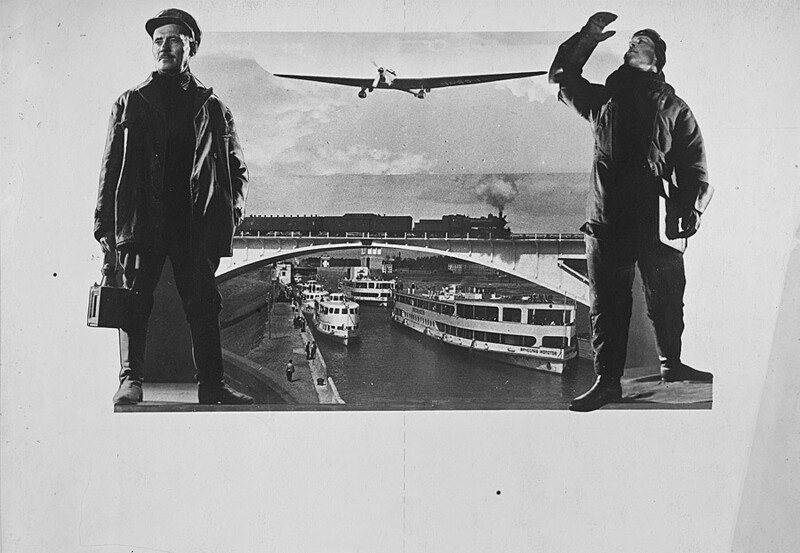 Rodchenko had a carte blanche to photograph wherever he wanted, moving freely about the site. The result, he said, was a series of 2,000 photos. However, at most, only 30 can be seen today. The rest, presumably, remained in the archives of the state security directorate and are identified as the works of an unknown photographer. 'Suprematism' set, by V. Chekhonin and N. Suetin. 1923. The Leningrad Porcelain Museum named after Lomonosov. 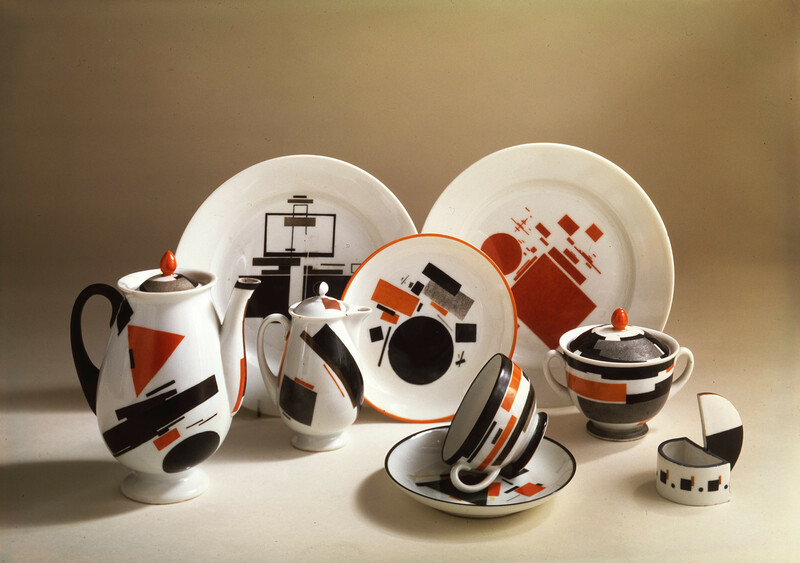 A student of Malevich, in 1920 Suetin began working alongside his mentor and Ilya Chashnik at the Leningrad Porcelain Factory, creating an array of diverse objects out of suprematist porcelain. These ranged from teacups and saucers to tea sets and so-called Suetons. When avant-garde artists began to face persecution, Suetin decided to immerse himself in work at the factory and in 1932 was appointed as the factory’s head artist. He significantly changed the forms of crockery and various decorative objects. For example, among his works from this period was an enormous porcelain vase for Joseph Stalin’s 70th birthday. For Stalin’s funeral in 1953, the artist brought an enormous wreath made of porcelain roses from Leningrad to Moscow. It was a very stressful job, and Suetin suffered a heart attack in Moscow. He died a year later. Photomontage for the 'USSR at construction' magazine № 9-12, 1937. Lissitzky’s works cover practically all mediums of art, from book design to architecture. His approach was radically different from what had existed previously. He brought suprematist principles to architecture and created an entirely new style of propaganda posters. Lissitzky also worked as an illustrator. In 1930, he collaborated on the creation a propaganda publication for foreigners called USSR At The Construction Site. He created a photomontage of the ratification of the Stalin Constitution that appeared in several issues. 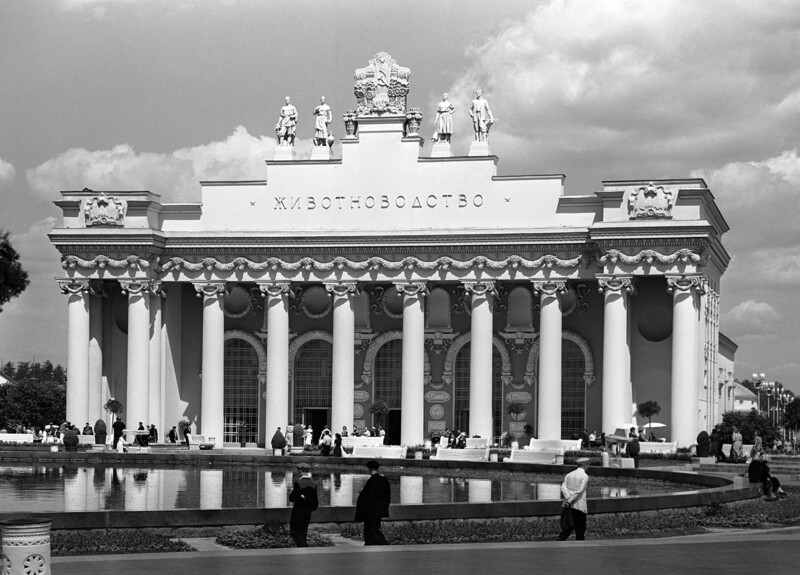 General view of the Animal Breeding Pavilion at Moscow's VDNKh All-Union Agricultural Exhibition Center. Tatlin, who created famous works such as “Tatlin’s Tower” for the Third International and the Letatlin ornithopter, is one of the brightest symbols of avant-garde art. However, he did not wind up without work when the Soviet Union’s aesthetic changed course. As soon as abstract art was declared to be anti-Soviet (despite having been lauded for its progressive ideas not long before this), Tatlin was no longer a darling of critics and party officials. In order to make a living, he returned to easel painting and stage design for theaters. For a while, he even worked as head artist at the Animal Breeding Pavilion at the Exhibition of Achievements of the National Economy (VDNKh), although the work he produced there was later deemed harmful and destroyed. After that, Tatlin took on whatever jobs he was offered, working, among other things, as a consultant for students at an architectural institute. Along with other artists, he even designed textbooks for Moscow State University.